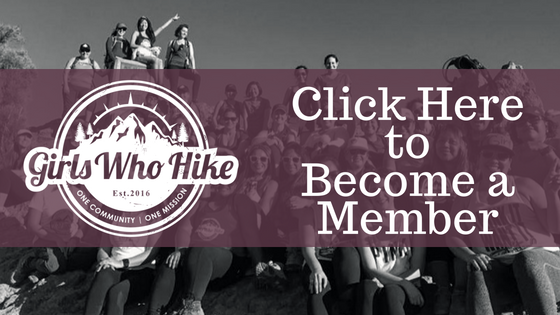 Here at Girls Who Hike, we want our registered members to be able to explore as many outdoor recreational opportunities as possible across the United States! We also understand that depending on our members' experience level, they may need a bit of guidance on when/where/how to access specific locations. This National Reservation Calendar is an ongoing project by our Girls Who Hike Team that allows our members to access campsite information, trail permit reservations, permit lotteries, and more... all in one location! Please help us make this feature as inclusive as possible by filling out the form at the bottom if there's something we're missing on the calendar. Thank you so much! Are we missing an important date on this calendar? Help us out by letting us know! Simply submit via the form below and we'll put it on as soon as possible. Is there a URL where we can find more information? Thank you for your submission! We will reach out to you via email if we need more information. Wilderness permit reservations are processed by lottery 168 days in advance of the hiking start date. You can fax your reservation application 169 days in advance for consideration the next day. The deadline for the lottery is at 7:30 am Pacific time, 168 days in advance. Since reservations are awarded by lottery, it doesn't matter what time we receive your application, as long as it's not more than 169 days in advance and not later than 7:30 am Pacific time, 168 days in advance. You can also speak to a wilderness ranger by calling (209) 372-0826 (Monday through Friday, 9 am to noon and 1 to 4:30 pm, from March through early October). What date should I apply? If you are flexible on the start date for your trip, you can submit one application for a wide range of dates. [300 kb PDF] This is only for John Muir Trail Hikers (exiting Yosemite over Donohue Pass). The trail is 211 miles long and runs (mostly in conjunction with the PCT) from Yosemite Valley to Mt Whitney, in California. Winding through the famed Sierra Nevada, the JMT visits some of the crown jewels of America’s park system: Yosemite, John Muir and Ansel Adams Wildernesses, Kings Canyon and Sequoia National Parks. The John Muir Trail section of the Pacific Crest Trail will mark you forever. Fish Creek Campground is the second largest campground in Glacier National Park, and one of two campgrounds that takes reservations. The campground is located on the western side of the park at an elevation of nearly 3,500 feet; this area of the park generally receives the most rainfall. Reservations must be made 3 Day(s) ahead of arrival and can be made up to 6 Month(s) in advance. Peak season ranges from June 1 through September 3. *the deadlines in our system reflect the 6 month advance window from the start of season to the end of the booking window. Facilities: The campground is large with 178 campsites. The sites are relatively spread apart and provide privacy for both RV and tent campers. Potable water is accessible in the campground, and restroom facilities have flush toilets and sinks with running water. St. Mary Campground is the largest campground on the east side of Glacier National Park. The campground sits near the entrance to two popular scenic byways: Going-to-the-Sun Road and Logan Pass. St. Mary Campground is located on the east side of the park, which boasts some of the best trails available for day hiking. Trailheads start at a higher elevation than those on the west side, so less ascent is required to reach scenic vistas. Campground length of stay is limited to 14 days. Facilities: Potable water is accessible in the campground, and restroom facilities provide flush toilets and sinks with running water. A couple of miles down the road and outside the park, visitors will find all the comforts of home, including restaurants, gift shops, camp stores, gas and groceries. Reservations must be made 3 Day(s) ahead of arrival and can be made up to 6 Month(s) in advance. On April 1, 2019, permits for visitation of The Wave during August 2019 will become available. Ten permits are issued on-line and ten via a walk in lottery that normally occurs the day before the permit is valid. You can apply up to four months in advance of your trip date. Reservations for Yosemite campgrounds for arrival dates between September 15 through October 14 will become available on May 15 at 7 a.m. PT. Reservations are required all year for Yosemite Valley's car campgrounds and summer through fall for Hodgdon Meadow, Crane Flat, Wawona, and half of Tuolumne Meadows. Campground reservations are available in blocks of one month at a time, up to five months in advance, on the 15th of each month at 7 am Pacific time. Be aware that nearly all reservations for the months of May through September and for some other weekends are filled the first day they become available, usually within seconds or minutes after 7 am! Permits for Fossil Creek, Arizona will be available on June 1, 2019 for access in July 2019. Advance permits are required to park a vehicle within the Fossil Creek Permit Area from April 1 through October 1. During this season and dependent on availability, a maximum of one permit per person per calendar month may be reserved (one permit = one day). Permits are made available one month ahead of time, on the first of the month. The permit allows parking for one vehicle only at one of nine designated parking lots. The maximum vehicle length is 22 feet. All persons listed on the permit must be accommodated inside the vehicle with a legal seatbelt on. The permit guarantees a parking space within the specified parking lot, but specific parking space assignments are not made. Parking spaces are occupied on a first-come, first-served basis. On June 5, 2019 canyoneering permits will become available for all trips occurring in Zion National Park during the month of August. Advance reservations are available up to 3 months in advance. On the fifth day of every month at 10:00 am MT, reservations for the next month become available. If they are still available, they can be made until 5:00 pm MT on the day before your trip. On June 5, 2019 reservations for backpacking trips in Zion National Park during the month of August will open. Reservations are available online during a three month time frame. On the fifth day of every month at 10:00 am MT, reservations for the next month become available. If they are still available, they can be made until 5:00 pm MT on the day before your trip. Reservation Fee: there is an additional charge for a permit that is determined by the size of your group. $15.00 - 1-2 people, $20.00 - 3-7 people, $25.00 - 8-12 people. For more information on where you can backpack in Zion National Park, click here. *Please note that Kolob Canyons will be closed until December. Reservations for Yosemite campgrounds for arrival dates between October 15 through November 14 will become available on June 15 at 7 a.m. PT. Reservations for Yosemite campgrounds for arrival dates between August 15 through September 14 will become available on April 15 at 7 a.m. PT. Reservations for Yosemite campgrounds for arrival dates between July 15 through August 14 will become available on March 15 at 7 a.m. PT. Backcountry permits in Glacier National Park for small groups (1-8 campers) will become available for reservation on March 15, 2019. Reservations are available for trips with starting dates of June 15 - September 30. Reservation requests accepted up to seven (7) days prior to trip start date. There is a limit of 16 miles per day on advance reservations. ** please note you will be charged the full $40 upon submitting an application. If you do not receive a backcountry permit, the fulfilled trip request fee will be refunded. All requests received between March 15 and March 31 will be processed in random order. As in past years, Wonderland Trail reservation requests may not be accepted after April 1 depending on the number of reservation requests received for the Wonderland Trail in this initial two week period. Park rangers will begin processing reservation requests on April 1. Reservation request applications cost $20 per party (1-12 people) per trip (up to 14 consecutive nights). Applicants must pay the non-refundableapplication fee and obtain a confirmation code before submitting a reservation request. Backcountry permits in Glacier National Park for large groups (9-12 campers) will become available for reservation on March 1, 2019. Reservations are available for trips with starting dates of June 15 - September 30. From May 25th - September 22nd, wilderness permits are required for all overnight trips in Sequoia and Kings Canyon National Parks' wilderness. Applications will be accepted begining March 1st at 12:01am Pacific Time. While wilderness permits are often reserved quickly after March 1, permits may be reserved at least 2 weeks ahead of time. This includes permits beginning at: Cedar Grove and Road's End, Grant Grove, Lodgepole and Giant Forest, the Foothills, and Mineral King Valley. Wilderness Permit Applications must be filled out electronically, attached as a .pdf, and emailed to seki_wilderness_reservations@nps.gov. On March 1, 2019, permits for visitation of The Wave during July 2019 will become available. Reservations for Yosemite campgrounds for arrival dates between June 15 through July 14 will become available on February 15 at 7 a.m. PT. A pre-season lottery is held February 15 through March 2 of each year to allocate the majority of permits. Following the pre-season lottery, remaining permits are available on a first come, first served basis through the recreation.gov advance reservation system. A small number of permits are available on an unreserved daily walk-in basis. After March 14, applicants must return to Recreation.gov and login to their account to determine the results of the lottery. Successful applicants must provide an exit date and number of persons in the party (up to 8 maximum) and pay for their permit ($5 per person/per day) by March 31, 2018, 11:59 p.m. PT. One alternate group leader may be selected. Campground reservations for all of 2019 (February 1 to November 30) will begin on February 1, 2019 at 8:00 AM Arizona Time. All reservations are paid in full at the time the reservation is made and are NON-REFUNDABLE and NON-TRANSFERABLE. On February 1, 2019, permits for visitation of The Wave during June 2019 will become available. The Mt Whitney Lottery will start on Feb. 1, 2018. Lottery applications for the 2019 season are accepted on-line from Feb 1, 2019 to Mar 15, 2019 (midnight Eastern Time). Lottery results will be available on March 24th. Please submit only one application per group. Trips sponsored by organizations or commercial groups must contact the Inyo National Forest wilderness permit office before applying for a Mt. Whitney permit. Transaction Fee: One application may list up to 15 trip choices and 3 alternate leaders for one $10.00 fee. Reservation Fee: Lottery winners must pay a $15.00 per person reservation fee by April 30, 2018 to claim any awarded date. Unclaimed dates will be canceled. Seasonal trail information, Lottery Tips & Statistics, can be found here. May 1, all remaining unclaimed dates are canceled and released for web reservations. Reservations for Yosemite campgrounds for arrival dates between May 15 through June 14 will become available on January 15 at 7 a.m. PT. Backcountry permits for Grand Teton National Park will be available for reservation from January 2, 2019 to March 15, 2019. Permits are required for all overnight trips. To minimize the impact on park resources, backcountry permits are limited. One-third of all backcountry campsites and all of the group sites may be reserved in advance, online, beginning the first Wednesday in January through May 15. The earlier you reserve your permit, the better chance you will have of getting the permit you want. The remaining sites are filled on a first-come, first-served basis in person at park permit offices no more than one day before the trip begins. Permit Fee: A $45 non-refundable processing fee is required for each permit reserved. In Inyo National Forest, most trails can be reserved 6 months in advance. However, a lottery is held for the most popular Mt. Whitney permits. Reservations can be made until two days before the trip if space is still available. Space from canceled reservations is returned to the reservation calendar within 24 hours (at a random time). One day before the entry date any remaining space is made available for walk in permit requests. No online or phone orders for walk in permits. Specific trail quotas apply from May 1 to November 1 for most areas. All overnight /multi-night trips in the Ansel Adams, John Muir, Hoover, or Golden Trout wilderness or that start in Inyo National Forest and will travel in Yosemite, Sequoia or Kings Canyon Wilderness require a wilderness permit. Groups are limited to fifteen (15) people in most wilderness areas. Some areas of Yosemite, Sequoia and Kings Canyon National Parks limit the group size to eight (8) to twelve (12) depending on the area you will visit. Groups on separate permits cannot combine if the total number of people will exceed the group size limit. Pick up your permit when you arrive, instructions are in confirmation letter. Only the group leader or listed alternate leader can pick up or use the permit. Confirm your group size or pick up your permit by 10 am on the entry date or the reservation will be canceled as a No Show. Please confirm group size one or two weeks before your trip to hold the reservation for late arrival. No refunds for transactions completed less than 22 days before the entry date. Inyo National Forest wilderness permit office phone line (760) 873-2483 is open 8:00 am to 4:30 pm daily in summer. On January 1, 2019, permits for visitation of The Wave during May 2019 will become available. Reservations for Yosemite campgrounds for arrival dates between April 15 through May 14 will become available on December 15 at 7 a.m. PT. Reservations for Yosemite campgrounds for arrival dates between March 15 through April 14 will become available on November 15 at 7 a.m. PT. Reservations for Yosemite campgrounds for arrival dates between February 15 through March 14 will become available on October 15 at 7 a.m. PT. Reservations for Yosemite campgrounds for arrival dates between January 15 through February 14 will become available on September 15 at 7 a.m. PT. Reservations for Yosemite campgrounds for arrival dates between October 15 through November 14 will become available on August 15 at 7 a.m. PT. Permits for Fossil Creek, Arizona will be available on August 1, 2018 for access in September 2018. Reservations for Yosemite campgrounds for arrival dates between November 15 through October 14 will become available on July 15 at 7 a.m. PT. Permits for Fossil Creek, Arizona will be available on July 1, 2018 for access in August 2018. CABLES ON HALF DOME - Daily Lotteries 2018 is Now Open! Attention: Before visiting Yosemite National Park for safety information click on this link: http://www.nps.gov/yose/planyourvisit/yoursafety.htm. For safety information specifically regarding hantavirus, go to http://www.nps.gov/public_health/zed/hanta/hanta_camp.htm.